Of course, stress in the workplace is completely normal. It is part and parcel of most jobs. There are pressing deadlines to meet, non-empathetic clients and customers to please, shareholders and investors that want to see a fast return on their investment and sometimes long hours to work. However, stress in the workplace can have some seriously negative effects on a company’s performance as a whole. It can reduce the productivity and quality. But worse than that, it can start taking a real toll on people’s physical, mental and emotional health. 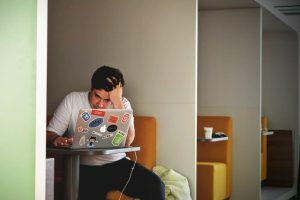 An overload of stress can be the thin line between success and failure, and that is why it is so imperative that you ensure stress levels are managed and kept to a minimum. As such, we have compiled a few ways for you to help reduce any stress amongst your employees and ensure that morale and productivity remain at a high level. The best way an employer can reduce stress amongst their employees is to lead by example. That means keeping an upbeat attitude, not letting the stresses of your role show, not venting any anger, coming up with solutions wherever there is a problem and practicing what it is you tend to preach. It could also be that you start shaking up your methods a bit. So if you tended to hold meetings in your office, why not hold that same chat while on a walk. Organize some team-bonding activities; let your staff know it is okay – and good – to take a break or a holiday every so often. One of the most successful qualities in a good leader is their ability to communicate. Tell them about business changes, or changes within your business. Let them know where they are excelling and where a little bit more effort could help them achieve greater things. Be constructive and be open. Employees that are left to ponder their own thoughts about their progress often feel the effects of increased stress. What’s more, if you start communicating with your staff better they will in turn start communicating with you better too. Every so often, your company may be required to upscale at short notice, so make sure you have the ability to upscale effectively. This doesn’t mean expecting your employees to dig deep and deliver more. It means having a working relationship with certain staffing agencies that will allow you to outsource some tasks and bring on additional bodies to help manage the increased workload. This will in turn boost morale. It will also see your full-time staff produce better work as a result of seeing new faces and thus more competition. It’s the Google effect, but it is also part of the rise of millennial workers. Every so often, people may need to grab ten minutes, to switch off from their work and come back at it with a renewed energy, a new focus, a new angle in mind. They stare at screens all day every day and so they will need somewhere to escape that for a second. Allow them it and you’ll see stress levels quickly drop.